Atomic metallic hydrogen, if metastable at ambient pressure and temperature could be used as the most powerful chemical rocket fuel, as the atoms recombine to form molecular hydrogen. This light-weight high-energy density material would revolutionize rocketry, allowing single-stage rockets to enter orbit and chemically fueled rockets to explore our solar system. 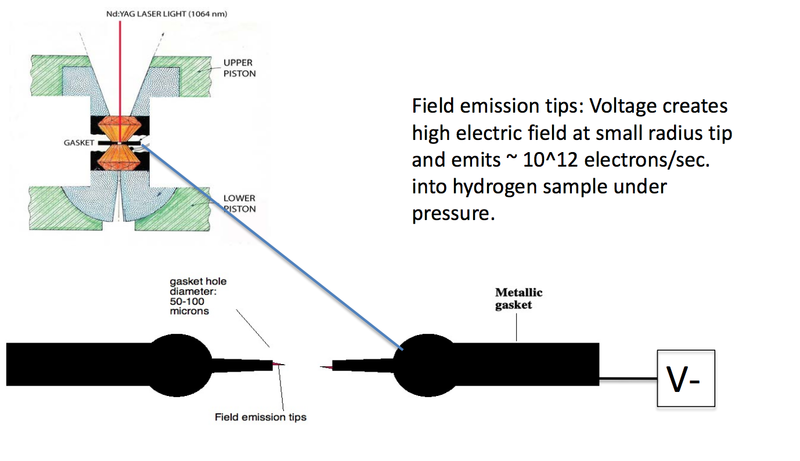 To transform solid molecular hydrogen to metallic hydrogen requires extreme high pressures. Isaac Silvera headed a 2011-2012 NIAC metallic hydrogen project and also co-wrote a 2010 paper on metallic hydrogen rockets. NOTE Nextbigfuture believes until metallic hydrogen becomes very, very cheap, it will be far more valuable for possible superconducting properties than for rocket fuel. Even very high performance rocket fuel. 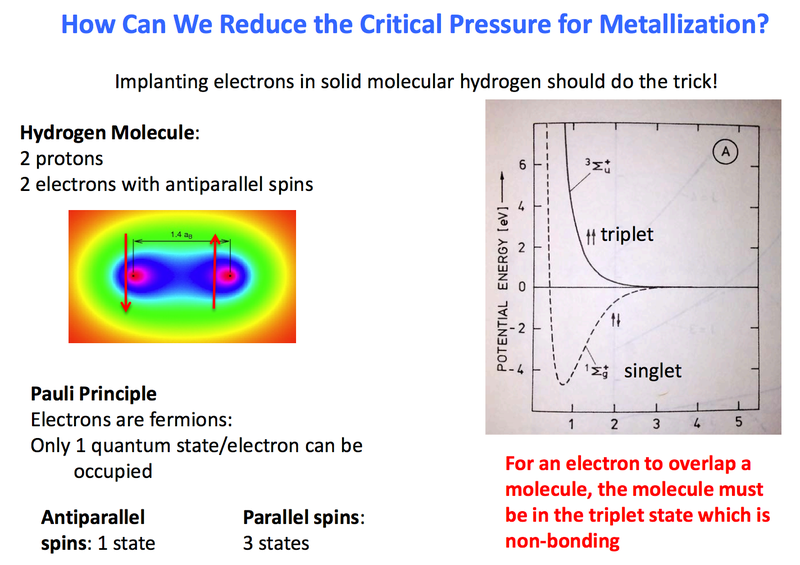 If metallic hydrogen is a room temperature superconductor that is metastable after releasing the pressure that created it, and the critical current is very high, then improvements to engines and high performance magnetic sails would be possible. This will be considered in future posts. It was predicted that metallic hydrogen might be a metastable material so that it remains metallic when pressure is released. Experimental pressures achieved on hydrogen have been more than an order of magnitude higher than the predicted transition pressure and yet it remains an insulator. 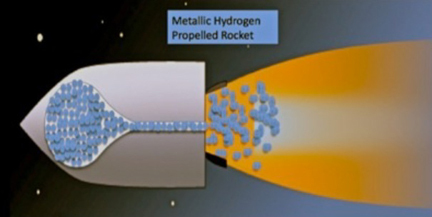 Tthe applications of metastable metallic hydrogen to rocketry. Metastable metallic hydrogen would be a very light-weight, low volume, powerful rocket propellant. One of the characteristics of a propellant is its specific impulse, Isp . 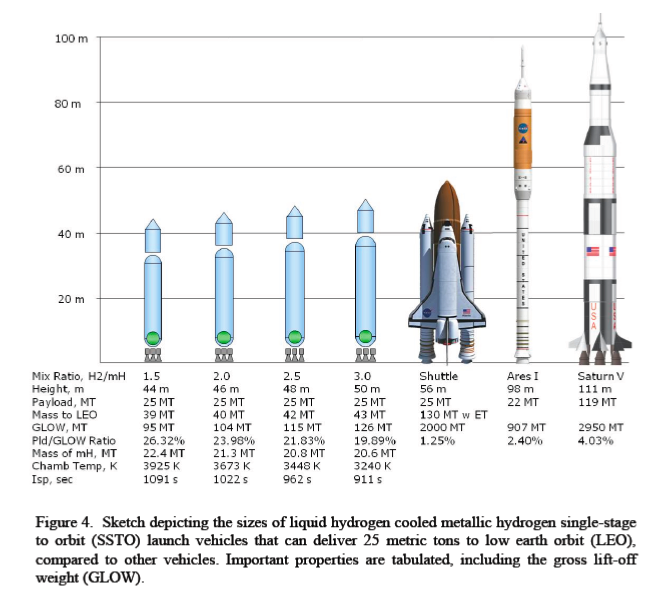 Liquid (molecular) hydrogen-oxygen used in modern rockets has an Isp of ~460s; metallic hydrogen has a theoretical Isp of 1700 s! Detailed analysis shows that such a fuel would allow single-stage rockets to enter into orbit or carry economical payloads to the moon. 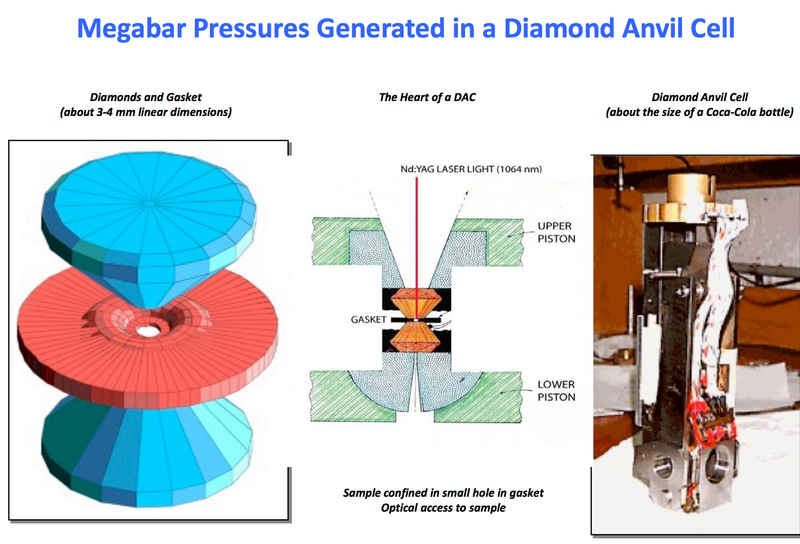 If pure metallic hydrogen is used as a propellant, the reaction chamber temperature is calculated to be greater than 6000 K, too high for currently known rocket engine materials. By diluting metallic hydrogen with liquid hydrogen or water, the reaction temperature can be reduced, yet there is still a significant performance improvement for the diluted mixture.